This event registration will close on Sunday September 01, 2019. 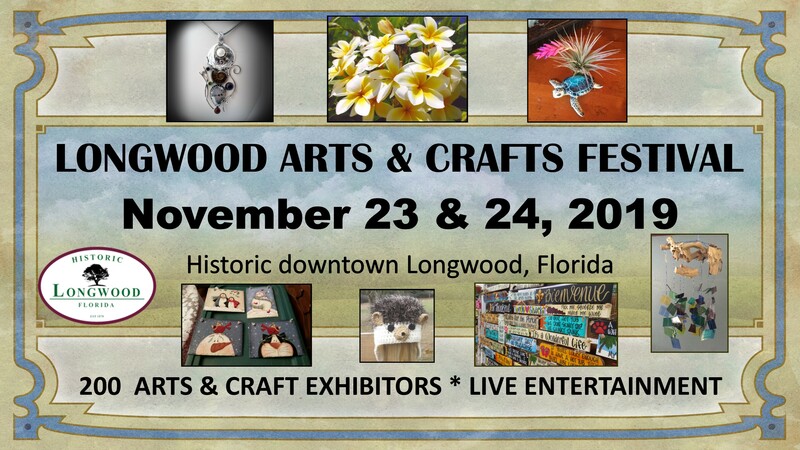 The DEADLINE to Apply for the November 23 & 24, 2019 Longwood Arts and Crafts Festival is Sept 1, 2019 . If you apply after Sept 1, you will be automatically placed on the Wait List. PENDING changes for 2019 : The Pay to Ride carnival may be replaced with a free kid zone. The dates of the event will be Sat and Sun only. The event layout may change but will remain in the historic district and will not move to Reiter Park. A limited number of Buy Sell vendors will be allowed but at a higher booth fee than Artists. Charity/ Not for Profit groups must offer free arts & crafts or other entertainment in their space to qualify. Applicants will be notified of status via email after the Sept 1 deadline.